Whether you're traveling domestically or abroad, bringing a bag on the plane can help you keep your important documents, breakable items, and valuables close while you travel—or avoid checking a bag altogether if you don't have too much luggage. However, there are certain things that the Transporation Security Administration does not allow you to bring on board the airplane—no matter which airline you fly. Additionally, there are regulations on liquids (and amounts) you're allowed to bring and certain items that are absolutely prohibited from being in your carry-on bags. No matter which airport you go to, you should be sure to check what items you should put in your checked baggage before you arrive. 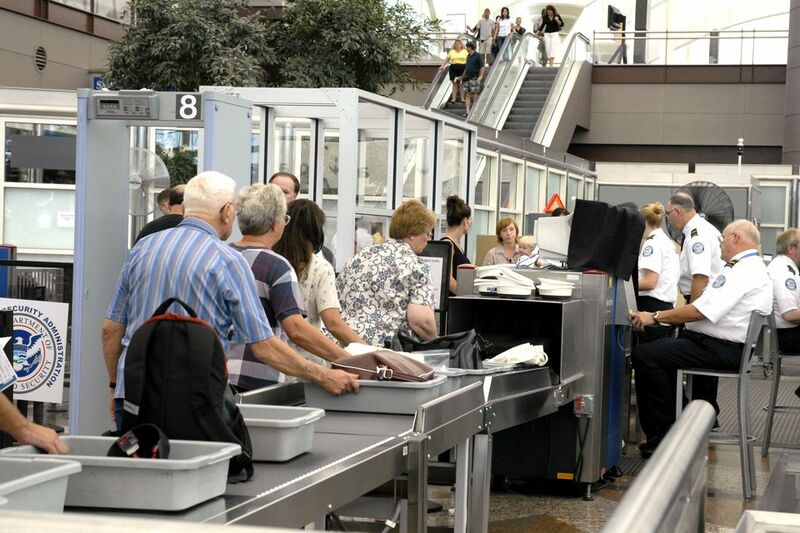 Trying to carrying prohibited items may cause delays for travelers, but it can also lead to fines and civil penalties, depending on what item you're carrying. Civil penalties can range from $250 for items like tear gas, flammable liquids, and firearm parts and up to $11,000 for dangerous weapons like dynamite, gunpowder, and hand grenades. Of course, regular travelers shouldn't have to worry about whether they can travel with such materials. Still, there are a number of regulations the TSA has on the books for what you can't bring in your carry-on or through airport security. You can check out the full list of items the TSA has determined are prohibited in carry-on bags on their official website. If you're unsure about whether or not you'll be allowed to bring an item, it's best to call your local airport's TSA office and ask for clarification on carry-on guidelines. However, the best way to avoid conflicts with TSA agents is to put the questionable item in your checked luggage instead. While you might be allowed to board your flight from the United States to other destinations abroad, exiting and re-entering security in a foreign country can present some challenges if you're carrying items not allowed in carry-ons abroad. For instance, in the U.S. corkscrews with no blades are allowed to be put in carry-on bags, but in Canada, corkscrews are only permitted in checked luggage. Toy weapons are banned as a carry-on in the U.K., Canada, and other countries, but only real-looking replicas are banned in the United States. Metal nail files are nearly universally banned, but nail clippers with no metal nail file are not. If you're still in doubt about a specific item—especially if it's of sentimental value to you—it is a good idea to call the airline directly, as they will outline what can and can not be brought on board.